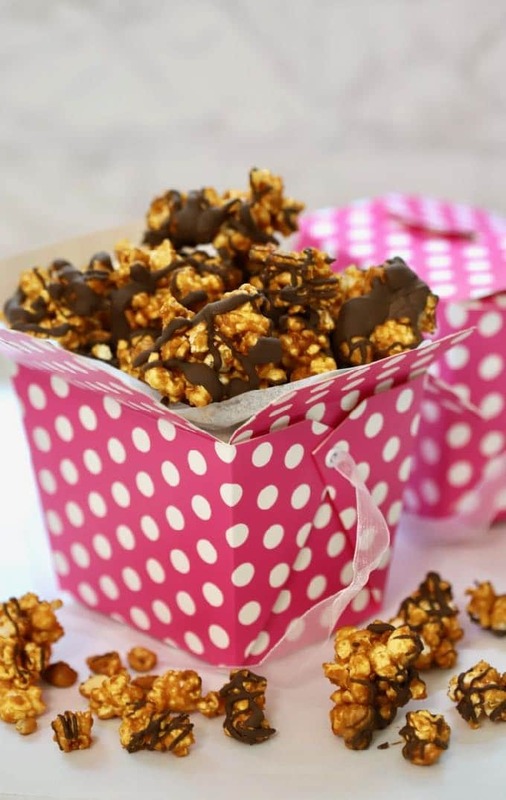 Caramel Corn with Chocolate Drizzle is an easy to make, sinfully rich, crunchy taste sensation with freshly popped popcorn and peanuts topped with a creamy sweet caramel glaze and to top it off, a drizzle of decadent dark chocolate. Can I just tell you how good this easy, crunchy confection is? 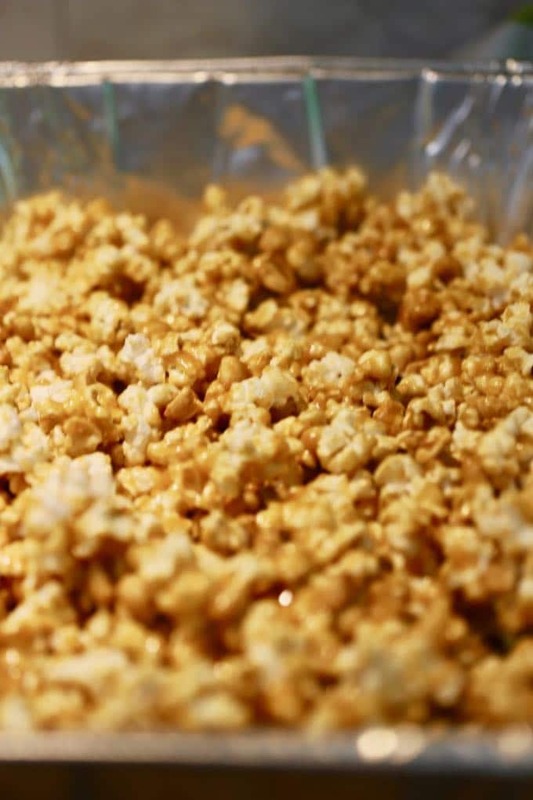 Homemade caramel corn is a grown-up version of the old-fashioned “Cracker Jacks” which we ate as kids. Add a dark chocolate drizzle and you have homemade “Moose Munch”, which I’m sure you have seen around the holidays, and the most indulgent caramel corn you can imagine! 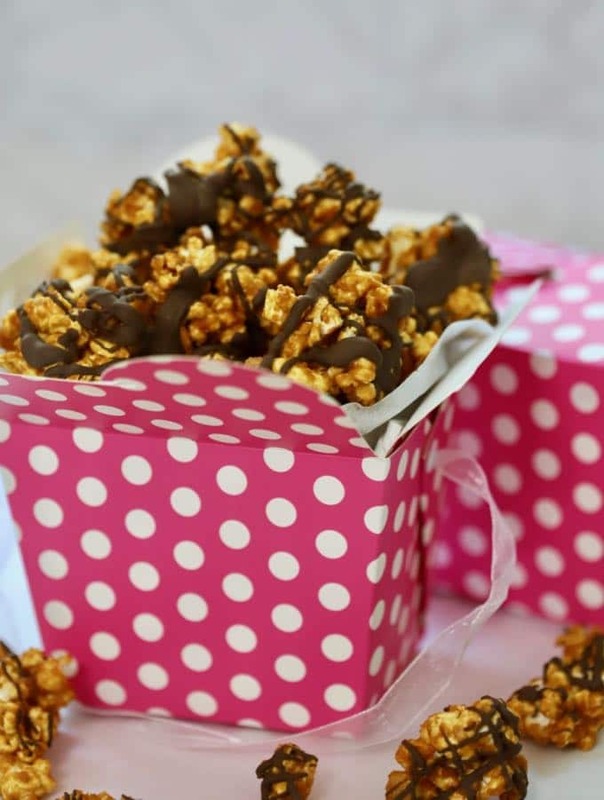 Caramel Corn with Chocolate Drizzle is a perfect sweet treat for the big and little kids in your house! It also makes a great homemade hostess gift or a thoughtful gift for foodies and other special people in your life, that is, if you can quit eating it long enough to package it! You may be wondering why I’m sharing this Caramel Corn with Chocolate Drizzle recipe with you today? I’m so glad you asked. I’m busy making up several batches for the upcoming Big Bend Hospice’s 2018 Spring Fling, Under an Artists’ Moon Fundraiser, which will be held Thursday evening, May 17, at Tallahassee Nurseries in Tallahassee, Florida. Spring Fling is a beautiful outdoor garden party featuring food and wine in an artistic setting. And you are invited to attend this year so you can also enjoy the fabulous food, stroll through the beautiful Tallahassee Nurseries’ gardens, help raise money for a wonderful cause and, maybe, even sample my Caramel Corn with Chocolate Drizzle! My husband and I love going to this lovely moonlight evening event full of food, spirits, and fun and we hope to see you there! If you would like to receive more information about Big Bend Hospice’s Spring Fling or purchase tickets, contact Big Bend Hospice at (850) 878-5310, or you can purchase tickets online by going to the Big Bend Hospice Website. 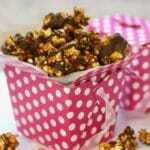 This homemade caramel corn with chocolate drizzle recipe is courtesy of my sister Chula at the Pudge Factor blog. Chula brought a tin of this homemade caramel corn with a dark chocolate drizzle to a family Christmas party last year. I knew then that her sweet, crunchy and totally addictive treat was the best caramel corn recipe I had ever tried and that I would want it in your arsenal of “go-to” recipes too! The only downside, if there is one, is that it does take over an hour to make this awesome treat. But, depending on their ages, your kids can easily help you make it, and after you taste, it I think you will agree, it is totally worth it! If you like sweet treats, you might also like these recipes: Dark Chocolate Billionaires Candy, Butter Pecan Cookies, and Chocolate Chip Meringue Cookies. Gather your ingredients and preheat the oven to 250 degrees F.
Place 1/4 cup of unpopped popcorn kernels in a brown paper lunch bag. 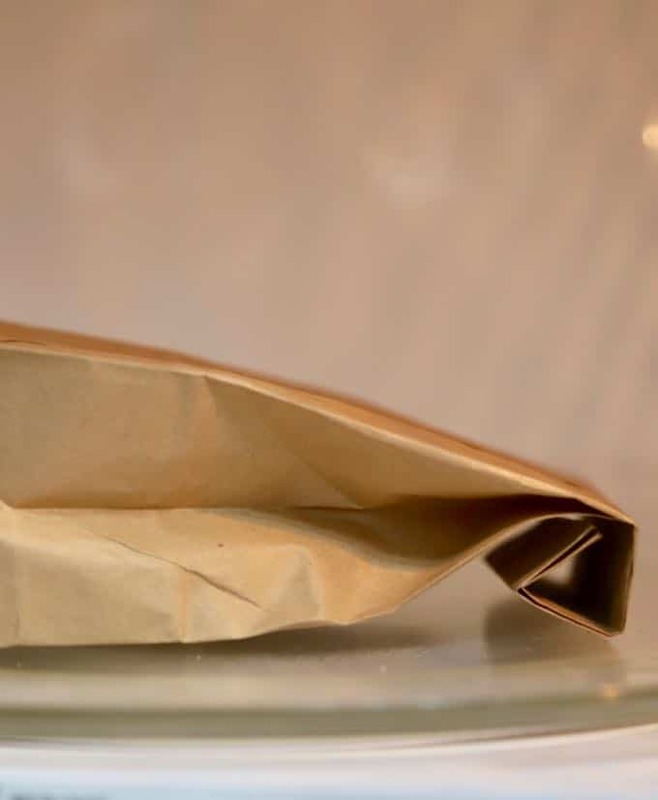 Fold the top over three times and place the bag with the folded side down in the microwave. Microwave on the popcorn setting. If your microwave does not have a popcorn setting, microwave on high or full power for 2 to 3 minutes, or until there are about 2 seconds between pops. Repeat to make two more batches. 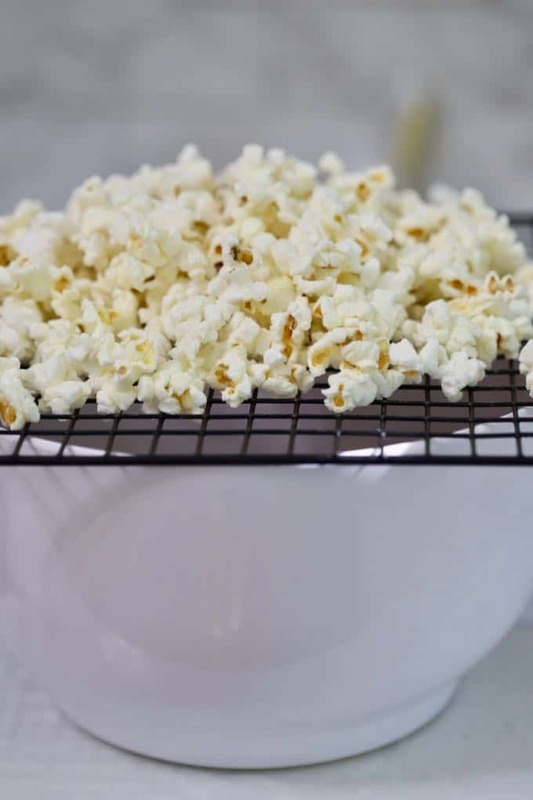 Place a wire cookie cooling grate over a bowl and pour the popped popcorn over it. The unpopped kernels will fall through the holes. Discard any unpopped kernels. Alternatively, you can pick the kernels out by hand, but the grate makes quick work of this task. 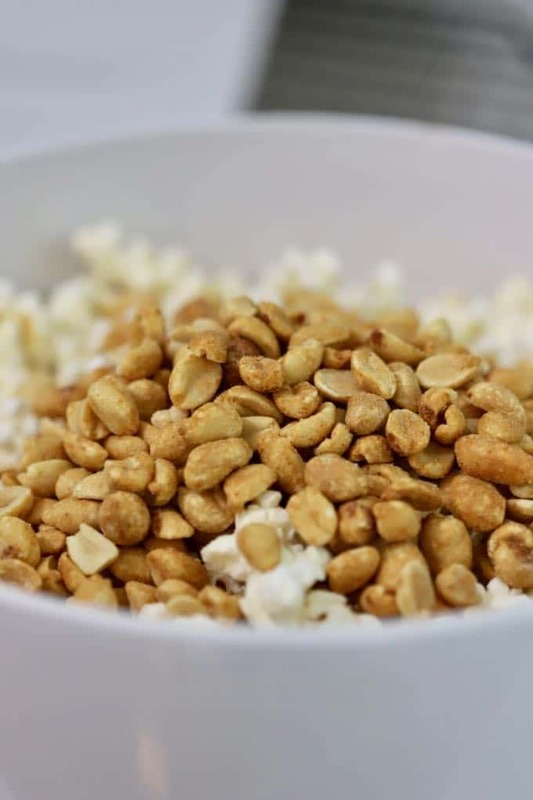 After you remove any unpopped kernels, place the popcorn in a large bowl and top with peanuts. Set aside. 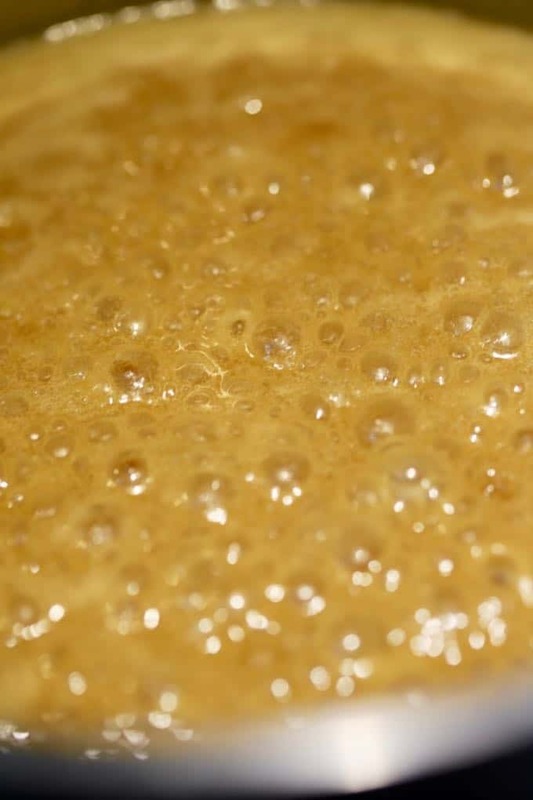 Place the butter, brown sugar, corn syrup, and salt in a medium-sized saucepan on your stove over medium-high heat. Stir until the butter is melted and the mixture comes to a boil. Reduce the heat to medium-low and cook without stirring for exactly 5 minutes. Remove the saucepan from the heat and add the baking soda and vanilla extract. Mix well. 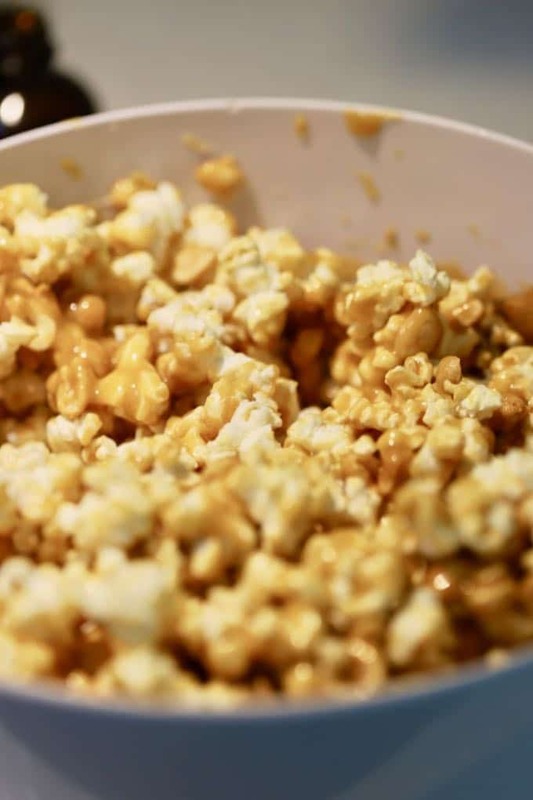 Pour the caramel mixture over the popcorn/nut mixture and stir carefully to coat all of the popcorn and nuts. Pour the popcorn/nut mixture onto a large, ungreased, disposable, aluminum roasting pan and spread out evenly. Bake for a total of 1 hour and 15 minutes. Every 15 minutes, remove the pan from the oven and stir the mixture. Continue to bake. 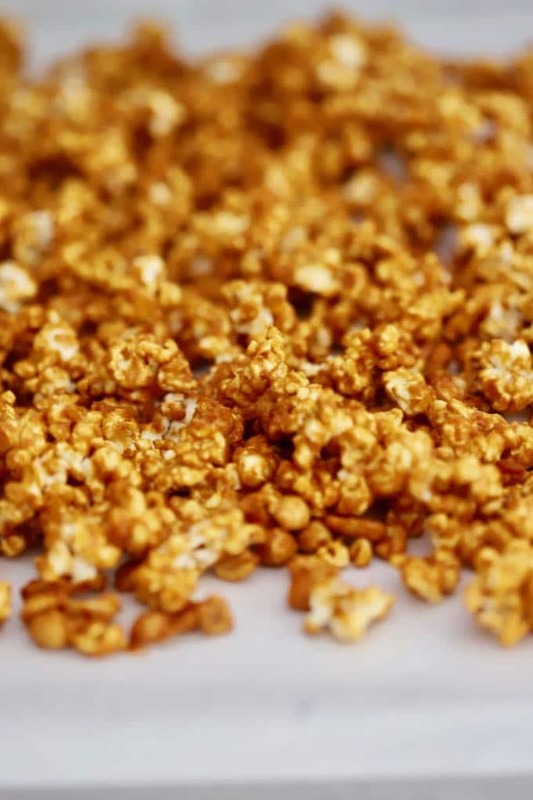 When the caramel corn is done, spread it out on a sheet of wax or parchment paper and allow it to cool completely. Melt the dark chocolate wafers using the directions on the package. Use a spoon and drizzle the melted chocolate over the cooled caramel corn. Allow the dark chocolate to cool and when it has hardened, store the caramel corn in an airtight container for up to a week, if it lasts that long. Tips: *You can substitute unflavored Skinny Pop popcorn rather than popping your own in a paper bag. But because the Skinny Pop is lightly salted, omit the salt from the caramel mixture. Do not substitute any other flavored microwave popcorn, it will change the taste. If you make this recipe, please be sure to rate it and leave a comment below. I love hearing from you! Also, please follow me on Pinterest, Facebook, and Instagram. And finally, to be the first to receive notifications of new posts by email enter your email address here or in the Subscribe box. Reduce the heat to medium-low, and cook without stirring for exactly 5 minutes. 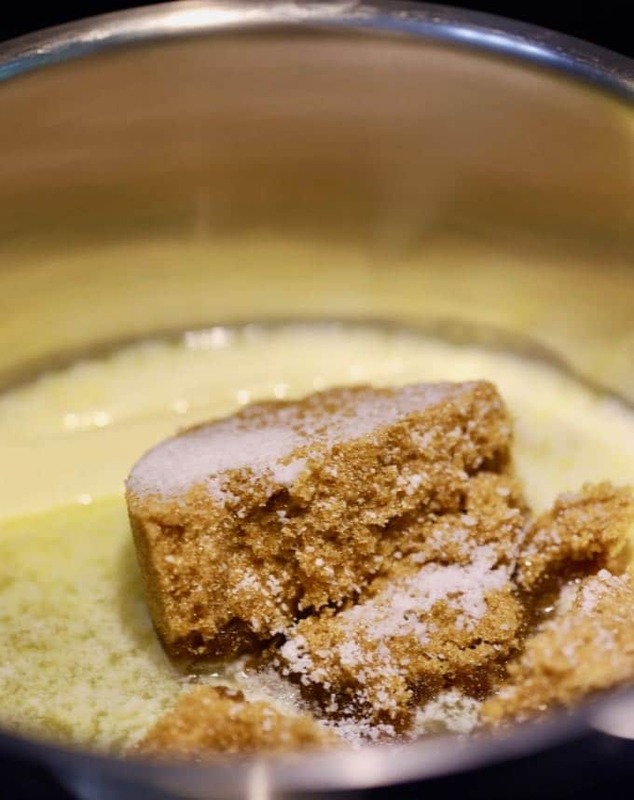 Remove the saucepan from the heat and add the baking soda and vanilla extract. Mix well. Bake for a total of 1 hour and 15 minutes. Every 15 minutes, remove the pan from the oven and stir the mixture. Follow the directions on the package of chocolate wafers to melt it. 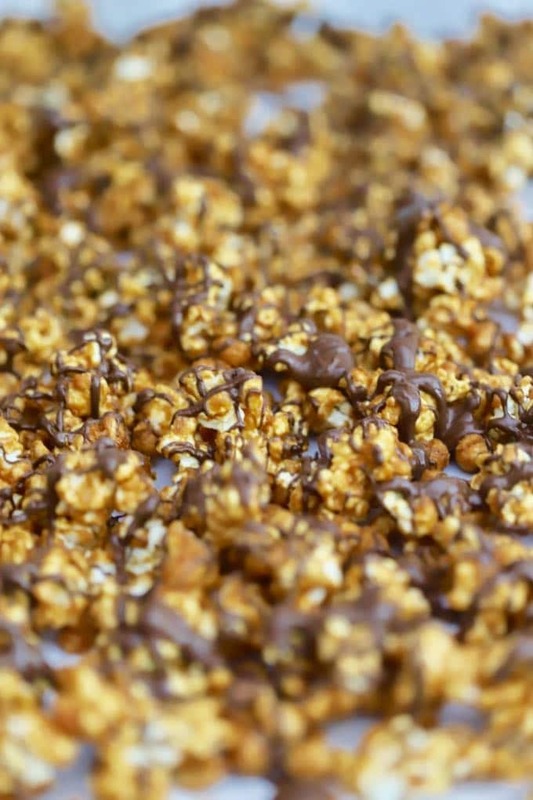 Use a spoon and drizzle the melted dark chocolate over the cooled caramel corn.